San Antonio Spurs coach Gregg Popovich will be taking over as Team USA basketball head coach after 2016, Oklahoma City Thunder superstar and Team USA leader Kevin Durant could not be happier. Durant, of course, has history with Popovich. 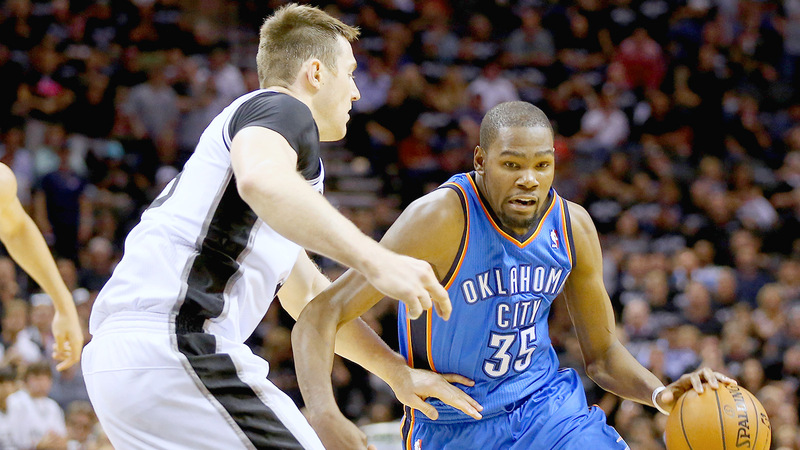 The Thunder faced the Spurs in the 2012 and 2014 Western Conference finals, splitting the two series and forming a pseudo-rivalry between two of the most well-run franchises in the league. Based on his comments, though, Durant clearly respects Pop and, would be happy to play on the 2020 men’s Olympic basketball team if the stars align. The Thunder and Spurs face each other in the regular-season opener on Wednesday at Chesapeake Energy Arena in Oklahoma City.